A leaked confidential US diplomatic cable written by the US Embassy Colombo has raised questions about the true nature of the drama staged by the Janatha Vimukthi Peramuna (JVP) when they left the Chandrika Kumaratunga led coalition government. At that time the JVP said that they had quit in protest at government’s plans for a tsunami aid deal with the LTTE which could help efforts to set up a Tamil state. The Colombo Telegraph found the related leaked cable from the WikiLeaks database. The “Confidential” cable is signed by the US Ambassador to Colombo Jeffrey J. Lunstead on February 15, 2005. “The JVP’s treatment is particularly unfair in light of its energetic efforts to help those affected by the tsunami, Herath asserted, adding that the party has raised nearly $12 million on its own at home and abroad. This aid is being distributed to all affected communities, he continued. The LTTE fears that JVP philanthropic activities in the east will increase the party’s popularity there, especially among Tamils, Herath claimed, and has thus fabricated stories about the JVP hijacking aid intended for Tamil communities. (Note: Jayantha Wijesekera, the Tamil-speaking, rabble-rousing JVP MP for Trincomalee, told us that the LTTE is particularly concerned about his appeal and has thus threatened him on several occasions.) When asked how the JVP viewed potential GSL/LTTE cooperation on tsunami relief, Herath repeated the standard JVP line: Cooperation is all right in principle as long as the Tigers do not take advantage of it–which, of course, he implied, they will” he further wrote. JVP has taken a similar approach even now, they have not accepted any ministries due to 2 reasons 1, they don’t want to take responsibility their argument is 100 days is too short to produce results 2, They are free to criticize the government as they please. I am bit disappointed by this approach. 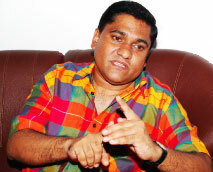 JVP did play a key role in bringing about political change. However they are pretty sure they are not in a position to capture political power to govern in the near future. JVP’s a putting it’s long term plan of capturing power compromising the pressing needs of present day political aspirations. This constantly being critical of government in power is only playing in to the hand of MARA. I would rather would like to see JVP which has excellent organization skills and propaganda tools explain to the masses the reasons for certain delays and need to give more time for change to be implemented. At best JVP should target to form a coalition government with UNP and prove to the people what they are capable of, that would help them in the long term. all what we see now is rosy talk. Nevertheless JVP is a key player in the political scene they bring in a different point of view to the other major political parties but if they keep criticizing it is possible it could backfire. The voters are lot more mature now they have the ability to judge intelligently. What is needed is at least for 4-5 years be a team player, put country before party. I used to listen to their speeches, especially Anura Kumar Dissanayake. At one point was considering voting for them. But not anymore. They have shown their true colours. They will never be a real political force in this country unless they change for the better. All what they do is play to the gallery with irresponsible talk. Do you know that the majority (75%)of Sorry Lankans are in the gallery still, thanks to the corrupted regime of the Jarapassas’ and their thieving officials? Even your great, great, great grandchildren belong to the gallery. $ 5billions in loans alone? Keep in mind, the gallery voted this 100 day government in. I assume you belong to the upper class, elite VVIPs. Get alife man. I am a proud voter of 100 day program ! Of course I belong to the ‘gallery’ but it’s not the ‘gallery’ you and the opportunistic Sorry Lankans have in your minds. I belong to the ‘gallery’ of ‘Equanimity’ if you can understand and enter this place at least for a millisecond of your life. The problem with the majority of Sorry Lankans is the unwillingness to accept things the way they are. Stop thinking with your ‘Lobha, Dvesha, Moha’ cap and the ‘Avijja’ dark glasses (shades) on. Are you sure?. Whose program is this? What assurance was given that the ‘program’ will be executed to the letter? 49 days gone, has it been smooth sailing all along? “Sabbe Sankhaaraa Anichchaa” ‘Awareness’ is the refuge, not the 100 day program or the people behind it. Ask your self this question, ‘can I trust my self to keep the ‘five precepts’ (pansil) for 24 hours? Let me know after trying it for just one day. This is the ‘Buddha Dhamma’ Metta! Anura Kumara Dissanayake will do well to remember the past while addressing the present. It was also another racist terrorist organisation which never considered nor saw prudent to officially surrender its weapons, therefore still its a racist terrorist organisation. Never bothered to own up its share of past war crimes nor did it said sorry unreservedly to victims. Never did it reviewed its core ideology and said sorry to the hard working up country Tamils. JVP’s hypocrisy knows no bounds. desperate MR on their Terms? MR has no way to rise accept to show his communal war-politics in the South, which accepts “dictatorial democracy”? Correct me if I am wrong please, did I read not so long ago that China has overtaken the USA as worlds largest economy? But, I do agree with the rest of the democratic nations that their human rights standards are not acceptable. I am not a ‘commi’ nor an ‘extremist’ but an independent observer of human behaviour, that’s all. Metta! Dictatorial politics will never survive only for a short time playing in the hands of Racists , Thugs and the poorly educated. JVP politics are like sitting on the fence and shout to both sides. Bad politics to follow their kind of politics. Must give JVP a chance. Yes, however JVP has to come clean about its past, ideology, own up mistakes and its hypocrisy, say sorry, disclose all its atrocities committed against the innocent people by JVP and DJV (Deshapremi Janatha Viyaparaya) ……. and surrender all its remaining arms.